Written for single mothers who need to teach children principles of fatherhood -- and men who want to be the fathers God intended them to be. 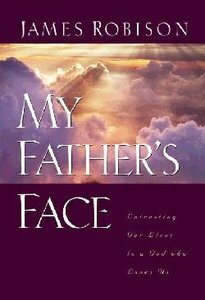 Teaches how to weave God's "fathering" traits into the home and family. - Publisher James Robison explains how people can learn from the Bible encouraging truths about our Eternal Father that will teach them how to weave the Lord's fathering traits into the fabric of their homes and families. Men learn how to be the kind of father God intended them to be, by coming to know Him as their Father--knowing His voice, His character and His heart for His people. James Robison explains how people can learn from the Bible encouraging truths about our Eternal Father that will teach them how to weave the Lord's fathering traits into the fabric of their homes and families. Men learn how to be the kind of father God intended them to be, by coming to know Him as their Father--knowing His voice, His character and His heart for His people. James Robinson is founder, Fort Worth, Texas-based LIFE Outreach Internat ional, an evangelistic and humanitarian organization that seeks to bring people to a saving knowledge of Jesus Christ and engages in crisis relief throughout the world. His Life Today television program is carried by three Christian networks and more than one hundred stations, with a daily potential audience of 55 million homes throughout the United States and Canada.James and his wife Betty have three children: Rhonda, Randy, and Robin.